Give to Your Passions page for additional information and contact options. Since 1928, the Santa Barbara Foundation has provided funding, advice, and encouragement to those who are making a positive impact in the county. The generosity of many donors has made it possible for the foundation to be a strategic resource for nonprofits, to lead in time of crisis, and to support critical services to those most in need. You can be part of this good work by making a gift to the foundation. The Santa Barbara Foundation is committed to preserving the natural beauty, ecological integrity and productivity of the wild and working lands in Santa Barbara County for generations to come. To that end, the foundation has launched the LEAF Initiative with the goal of strengthening community resiliency by preserving and enhancing the landscapes and systems that sustain nature, human health and our economy. Santa Barbara County is a special place with unmatched scenery, abundant recreation opportunities, incredible diversity of plants and animals, and productive agricultural lands – all of which contribute to our economy and quality of life. County residents have been good stewards of these resources with a long history of effective land management, conservation and environmental protection. Yet with increasing population pressure on scarce natural resources, along with the new realities of climate change, it is critical that we develop the tools we need to better understand our landscape. We must also begin to think together about how we can address the pressures we face to create a more resilient and adaptable future for us all. In Santa Barbara County, we are addressing the challenges that place our health, environment and community at risk. The Food Action Plan is the result of two years of collaboration and partnership, over a thousand hours of volunteer time, and the significant investment of local foundations and donors. Living and dying with dignity should be a shared community value. That’s why the Santa Barbara Foundation is committed to innovative solutions supporting people who need care and the people who care for them. The Community Caregiving Initiative will establish effective caregiver support systems through the development of cross-sector networks of community organizations, including but not limited to health, social and education sectors. Since 1928, the Santa Barbara Foundation has provided funding, advice, and encouragement to those who are making a positive impact in the county. The generosity of many donors has made it possible for the foundation to be a strategic resource for nonprofits, to lead in time of crisis, and to support critical services to those most in need. You can be part of this good work by making a gift to the community disaster relief fund. Since 1928, the Santa Barbara Foundation has provided funding, advice, and encouragement to those who are making a positive impact in the county. The generosity of many donors has made it possible for the foundation to be a strategic resource for nonprofits, to lead in time of crisis, and to support critical services to those most in need. You can be part of this good work by making a gift to the scholarship fund. The Global Neighborhood Fund strengthens under-served communities by providing grassroots grants in developing countries. The Women’s Fund of Northern Santa Barbara County responds to the community’s most urgent needs by making substantial gifts in Northern Santa Barbara County. The Rio’s Promise Fund supports child victims of slave labor in West Africa. Currently working with PACODEP’s Village of Life children’s home in Kete Krachi, Ghana. Social Venture Partners Santa Barbara (SVPSB) strives to build stronger nonprofit organizations, build educated and engaged philanthropists, and build community. CBeyondcancer’s mission is to partner with and fund organizations that help families see beyond emotional and financial obstacles to focus on fighting cancer. 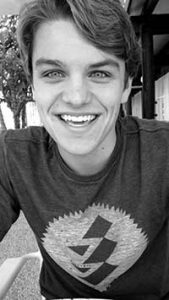 The Connor O’Keefe Fund is a non profit charitable fund that aims to support individuals and organizations that make a difference in our community through scholarships and grants. The primary mission of the Down Syndrome Association of Santa Barbara County is to enhance the lives of individuals with Down syndrome and their families in our community. In the memory of Mark and Caroline Montgomery, we are starting a memorial fund to support organizations that provide services in the areas of social welfare, education, and health care. Our mission is to enrich and empower those with mental and physical challenges through the arts. Please join us in bringing color and excitement to those who need it most! Pacifica Graduate Institute has a fiscal sponsorship fund through the Santa Barbara Foundation, and is asking for your support in assisting funding for Pacifica student scholarships and research grants. The Rafe Sagarin Fund seeks to support early career scientists to conduct creative research in marine science that includes a strong component of observational ecology. Women in Leadership Positions – Making Connections, Sharing Expertise, Inspiring Confidence, Encouraging Growth. Santa Barbara Poetry Fund supports readings, workshops, and publications in our community and brings nationally-recognized poets to perform as part of the Santa Barbara Poetry Series. The mission of the SBCAAE is to promote, support and advocate for visual and performing arts education for preschool through post-secondary students in Santa Barbara County Schools. sbSNAP is a volunteer organization dedicated to matching individuals with special needs with adaptive programs available in the Santa Barbara community. Our community mission is to align and empower Santa Barbara County to become a leading sustainable city for the world to follow. Santa Ynez Valley Teen Arts helps teens of all social backgrounds in the Santa Ynez Valley and surrounding areas find their inner selves through free art classes taught by professional artists. The Vesalius Foundation’s mission is to accelerate research and development for cancer detection and provide financial support for patients unable to afford the latest in cutting-edge testing technology. The Ojai Women’s Fund (OWF) is an all-volunteer collective giving circle dedicated to making substantial grants on an annual basis to organizations that target critical needs in the Ojai Valley. Formed by local residents who were compelled to act after the tragic 1/9 debris flow in Montecito, the Partnership for Resilient Communities is focused on safety and resiliency in support of and to augment public sector efforts in Santa Barbara County. Justify the lives of differently abled individuals! A community of 56 million people and growing, want and deserve to be self-reliant.